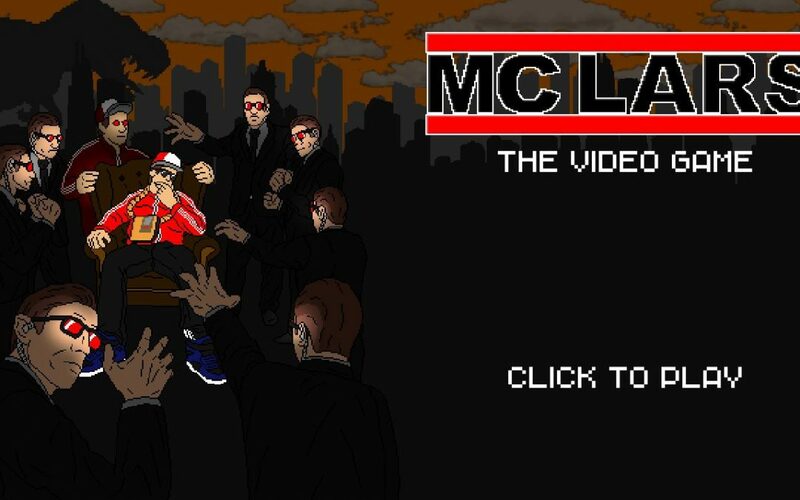 MC Lars: The Video Game is a nice throwback to the old school genre, with Nerdcore influence splashed all over it. The gameplay is not as varied as the music you play to, and it may leave you wanting more. The way this game looks comes straight out of the ’90s, but falls a little short of the mark when it comes to variety. The enemies are all pretty much the identical, the environments that you navigate aren’t very eye-catching, but that may be by design. 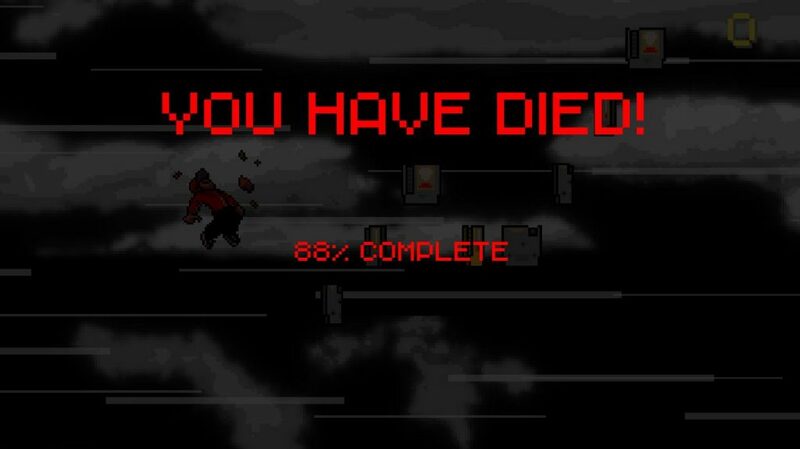 The pixels that fly across the screen when you defeat an enemy are a nice touch, but it didn’t do enough to break it from its overall simplistic design. Adding layered backgrounds for each level are an interesting touch, showing a bit extra motion that were eye-catching enough to have me distracted. The gameplay is simple, yet very unforgiving. You play as MC Lars as he’s propelled forward from point A to point B, defeating corporate lackeys, and collecting old video game cartridges. You have to break down barriers and dodge obstacles, all to the beat of 12 MC Lars songs spanning his legendary career. Once you get the rhythm down, you may become a bit overconfident, and as soon as you slip for a single hit, you lose ALL the points you’ve collected up until that point. That can be a bit frustrating for the player, getting a far distance in the level with a high score, and then have one enemy towards the very end of the level drop your entire score to zero, with one hit. I would have liked to see a percentage of your points dropped rather that you losing it all, but it definitely gives perfectionists something to do. Other things to note about the game are the unlocks, which are just basically new skins. You can also go back and play any level you have already beaten to get a better scores, and the gameplay is solid enough to do so, if you can handle some of the frustrations. The music is pretty straight forward. MC Lars provides the the whole soundtrack, which goes along with each level. Flow Like Poe and Never Afraid had me getting lost in the music for a second, but getting hit by an obstacle brought me right back to the game. 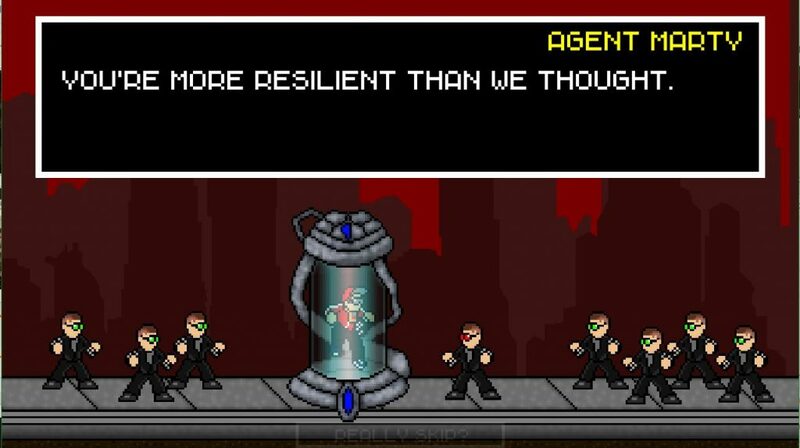 I did feel like the music didn’t always fully sync up with the gameplay, where as soon as I’d be immersed in the rhythm and the game, I would get hit by a bad guy even though my evade felt like it was in perfect timing with the song. One thing that was odd to me was that there were no sound effects for the collection of items or for taking out an enemy, seeing that doing either of those things adds new sounds that corresponds to the beat. This makes the player feel like you are adding something to the MC Lars songs that you already know and love. There’s also an option to play without the music, if you find that it’s too distracting for some reason. I wouldn’t suggest it though. Overall, the game doesn’t feel as solid as some of the other rhythm games out there, but combined with the music, it does a good enough job to warrant at least one full playthrough. If you are an MC Lars fan, it’s an innovative and brilliant new way to connect to his music, but as a stand alone game, it just needs a bit more polishing.